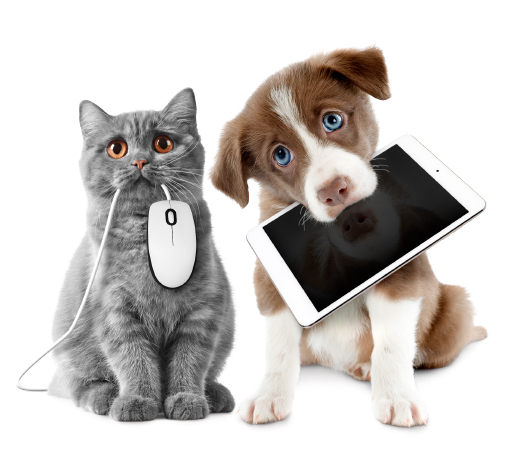 Have you ever wanted to have your pet's reminders accessible on your smart phone or mobile device? Sick of calling us when the groomer or boarding kennel needs to see updated proof of vaccination? Is it easier to send us a message from your phone when you need a refill of your pet's medication or food? How about a message letting us know you need to set up an appointment? Maybe you just took a cute pic of your pet and want to share it with someone. Now, all this, and more, is available on the free Kalamazoo Animal Hospital app. By providing the app the same e-mail address the hospital has on file, you'll be synced directly to your pet's reminders and information. You can contact us through the app for refills, appointment requests, and questions. We can also contact you with special VIP deals and happenings at the hospital. Finally, with the Selfie Shots feature, you can send us cute pictures that will be featured on the app for everyone to see.